It's a Cobb NApoleon. 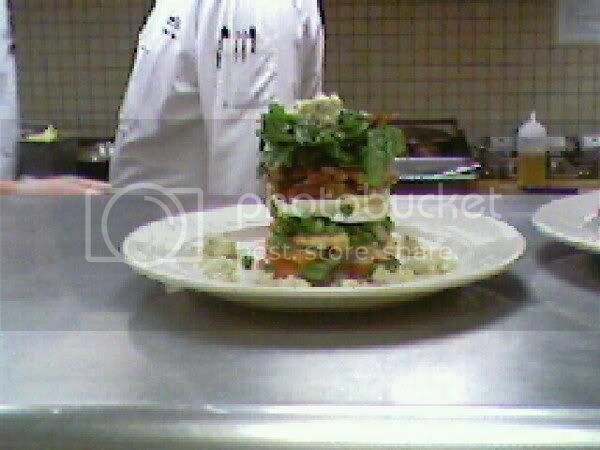 The bottom layer is tomato, then chicken, then green onions, then hard boiled egg, then the pancetta, then mixed baby greens that have been chiffonaded and bound with an agave-dijon dressing. The salad is garnished with blue cheese and the plate with more of the dressing and blue cheese.